Mr. Ashe joined Kralovec, Jambois & Schwartz in late 2010. Since that time, he has been successful in obtaining verdicts and settlements in excess of $45 million on behalf of his clients. Most recently, in early February of 2015, Mr. Ashe served as lead counsel in a case where a jury awarded over $2.6 million to an Algonquin widow in a wrongful death medical malpractice action stemming from the failure of doctors to timely insert an automatic implantable cardioverter defibrillator into her husband. Over the last two years, Mr. Ashe was also successful in receiving two record breaking and nationally reported settlements on behalf of his clients. The first case involved a $20 MILLION SETTLEMENT in a medical malpractice case against a local hospital for negligence in connection with the failure to monitor and intervene on behalf of a 2 year old child following a routine surgical procedure which resulted in his severe brain damage and the need for round the clock nursing care. That case was believed to be the highest settlement ever against the hospital up to that time. The second matter involved an $11 MILLION SETTLEMENT awarded to a widow of an Illinois State Trooper who died following a fiery collision with a truck whose driver fell asleep behind the wheel of his semi-tractor trailer. The second case was reported by the National Jury Verdict Review and Analysis as the #1 highest settlement in the state and #5 in the country for cases of that kind during the year of the settlement. Mr. Ashe is particularly proud of the fact that the 2 settlements reported above were achieved LESS THAN ONE YEAR from the time of the negligent acts and at very low expense to his clients. 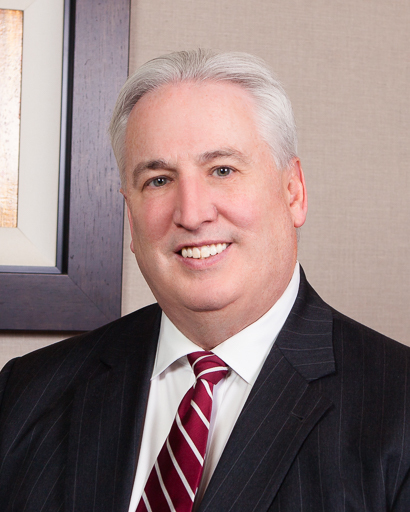 During his career, Mr. Ashe has obtained numerous and substantial settlements and jury verdicts on behalf of his clients including the following recent cases: A $3.3 million verdict on behalf of a roofer who filed suit against a hospital for severe back injuries caused by the negligence of an occupational therapist; A $2.5 million verdict for a family in connection with the death of a 68 year old man who was not monitored properly by a home health care nurse following his discharge from a local hospital; A $1.5 million settlement against a production company and others on behalf of a stage hand who suffered brain injuries after falling off a stage that was not properly fitted with railing and other safety equipment; A $1.1 million settlement in an underinsured motorist claim for injuries suffered by a Wisconsin man in an automobile collision. Cassiday, Schade and Gloor (now known as Cassiday Schade LLP). Mr. Ashe formerly represented physicians and hospitals in complex medical malpractice cases. He also represented insurance companies and their clients in large and complicated general negligence matters, construction accidents, civil rights cases, motor vehicle accidents, product liability and premises liability cases. At Cassiday, Schade and Gloor, Mr. Ashe served on the firms’ executive Committee and also was the chairman of the appellate department where he successfully argued numerous cases in front of the various appellate courts of this state. As a defense attorney, he also successfully defended and obtained favorable results in several multi-million dollar trials over his long and distinguished career. Having the benefit of both prosecuting and defending cases of all types for both the injured parties and defendants, Mr. Ashe brings special insight and a unique understanding to the handling of matters from all stages of litigation, enabling him to maximize favorable result for his clients. Over the years, Mr. Ashe has lectured extensively on a wide range of topics to attorneys, doctors, insurance companies, corporations, bar associations and trade groups. He has also served as a judge at local law schools for moot court and advanced trial advocacy competitions. Mr. Ashe recently served as a moderator for a seminar on nursing home negligence sponsored by the Illinois Institute of Continuing Legal Education and presented a speech on closing arguments at a seminar organized by the Illinois State Bar Association. In addition, Mr. Ashe has authored and co-authored the “Jurisdiction of the Subject Matter” chapter of the Illinois Institute of Continuing Legal Education’s Handbook of Civil Procedure. He likewise authored a brief analyzing legal issues raised from an International Terrorism case presented abroad at an event sponsored by the World Peace Through Law organization. He is currently a member of the Illinois Trial Lawyers’ Association, Women’s Bar Association and the Illinois State Bar Association. In the past, he has been of member of the American Bar Association, Illinois Defense Counsel and Illinois Association of Health Care Attorneys. Mr. Ashe was also a past member of the Judicial Evaluation Committee of the Chicago Bar Association where he served as Chief of Investigations. Immediately following law school, Mr. Ashe served as a judicial clerk for the Honorable Francis S. Lorenz of the Illinois Appellate Court, First District, First Division. A roofer against a hospital for back injuries caused by the medical negligence of an occupational therapist. An Algonquin widow in a wrongful death medical malpractice case for the death of her husband for untimely insertion of a heart device. A family for the death of a man whose care was mismanaged by a home health care worker. Numerous not guilty verdicts on behalf of physicians, hospitals and health care providers and corporations in connection with complex medical malpractice and other civil matters during his 20 year tenure as a defense attorney. $20 million in a medical malpractice action for a 2 year old boy who suffered severe brain damage following a routine surgery. $10,949,938.57 for the widow of an Illinois State Trooper who died in a trucking collision. $1.5 million for a stage hand who sustained head injuries after falling off an unsafe stage. $1.5 million for a man who sustained spine and arm injuries after falling from an improperly secured scaffold. $1,115 million in an underinsured motorist claim for injuries suffered by a Wisconsin man in an automobile collision. $1,000,000 for a doctor who sued his own physician for complications stemming from improper treatment of vericose veins. $1,000,000 for a woman on a bicycle who was struck by a motorist under the influence of unlawful drugs. $1,000,000 for a man who suffered a heart attack after not receiving positive results of heart testing from a local testing center.